The National Company Law Appellate Tribunal (NCLAT) Wednesday extended the hearing of the Tata Mistry matter to October 31, as Tata Group sought some more time to file their replies. Earlier on August 24, while passing an interim order the appellate tribunal had asked Tatas to file their reply within 10 days and directed to list the matter on September 24 for next hearing. The time to file reply was ending on Thursday, following which Tata side approached NCLAT for extension to file their replies. NCLAT has now given four-weeks time to Tata to file reply and two weeks-time to Mistry for filing rejoinder, if any. Now, both petitions filed by ousted chairman Cyrus Mistry and the investments firm Cyrus Investments will come for hearing on October 31. Last week, Cyrus P. Mistry had moved NCLAT in his personal capacity, requesting the appellate tribunal to set aside the impugned order passed by the National Company Law Tribunal on July 9. On August 29, NCLAT had admitted Mistry's petition and issued notices. It had said the petition would be heard together with petitions filed by his family's investment firms, challenging the removal as well as conversion of Tata Sons into a private company from a public limited firm. Earlier, on August 24, NCLAT passed an order over the petitions filed by the investments firm of Mistry family and directed Tata Sons not to force the companies to sell their shares in the Tata group firm. The appellate tribunal had also admitted the petitions of Mistry's family-run firms. 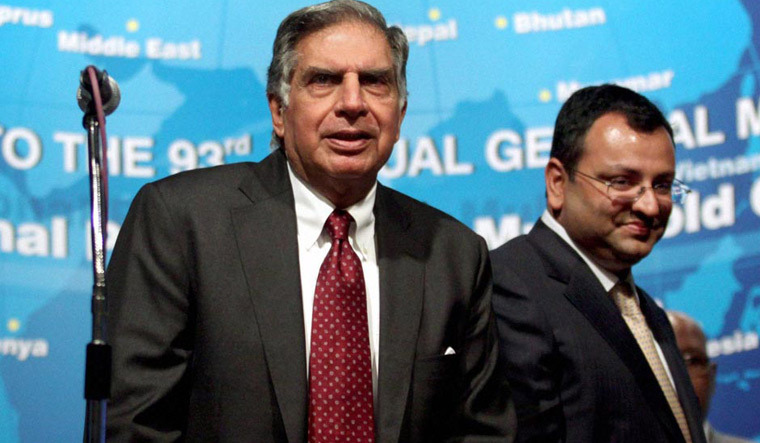 The Mistry camp had challenged the July 9 order of the Mumbai bench of the NCLT which dismissed their pleas against his removal as Tata Sons chairman, as also the allegations of rampant misconduct on part of Ratan Tata and the company's Board.